Smell of Málaga is an exhibition both inspired by and dedicated to the city. 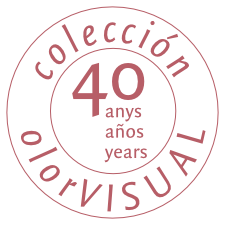 Places, customs, popular characters and moments of history have given us a wealth of olfactory memories, and these have been transposed into the so-called ‘alphabet’ of the creators of essences: olfactory notes; and these in turn have been represented with works of visual art from colección olorVISUAL. Thus, by means of sight and smell, we will explore the three areas of the show: the Roman legacy, popular symbols, and industrialization and trade. Three areas that recreate for us part of the rich history of this city. The interpretation of these things by means of works of art is always personal, seconded by the complicity of smells that we recall without being conscious of it, but that are there, filed away.